Craig Burley has poured cold water on talk of Carlo Ancelotti replacing Arsene Wenger at Arsenal. The Gunners boss is coming under pressure in his role at The Emirates following Arsenal’s 4-2 loss to Championship side Nottingham Forest in the FA Cup third round. Arsenal have relied heavily on the FA Cup to put a positive spin on some otherwise disappointing Champions League and Premier League campaigns in recent seasons. Wenger signed a two-year contract extension back in the summer despite Arsenal finishing outside of the top four places for the first time in the Frenchman’s long reign. Arsenal haven’t won the Premier League title since 2003-04, while the Gunners haven’t featured in the Champions League quarter-finals since 2010. Ancelotti has been touted as a potential candidate to replace Wenger at Arsenal give his wealth of experience managing Bayern Munich, Real Madrid, Paris Saint-Germain and AC Milan. But former Chelsea defender Burley ruled out Ancelotti replacing Wenger, adding that the Italian isn’t the type of manager to embrace a post that requires a rebuild. 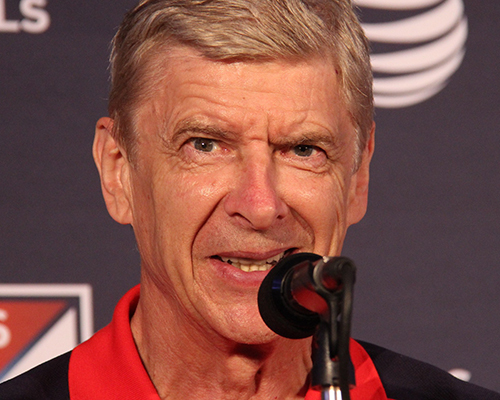 “I don’t quite get that [the idea of Ancelotti going to Arsenal]. He hasn’t been quite as good as he has been,” Burley told ESPN2. Arsenal are in sixth place in the Premier League table and five points behind fifth-placed Tottenham Hotspur in the race to secure the final Champions League qualifying spot. The Gunners lost 2-1 to Bournemouth at the Vitality Stadium on Sunday afternoon.